"You don't have to be perfect to be beautiful." I think we all have our favourite jeans which we somehow refuse to not to wear. They just came out from the washing machine but we are already planning to wear them tomorrow. The good thing is that with different fashion tops we can always give these favourite pair of jeans a new look. We can dress them up for almost every occasion: a casual day at work, a date, a weekend-trip or a night out with friends. We can glam them up with blouses or sequined shirts, combine them with casual tops, pair them with pretty women's tops, one thing is sure, the result will look amazing. The jeans are the same but the style of the outfit is so various. 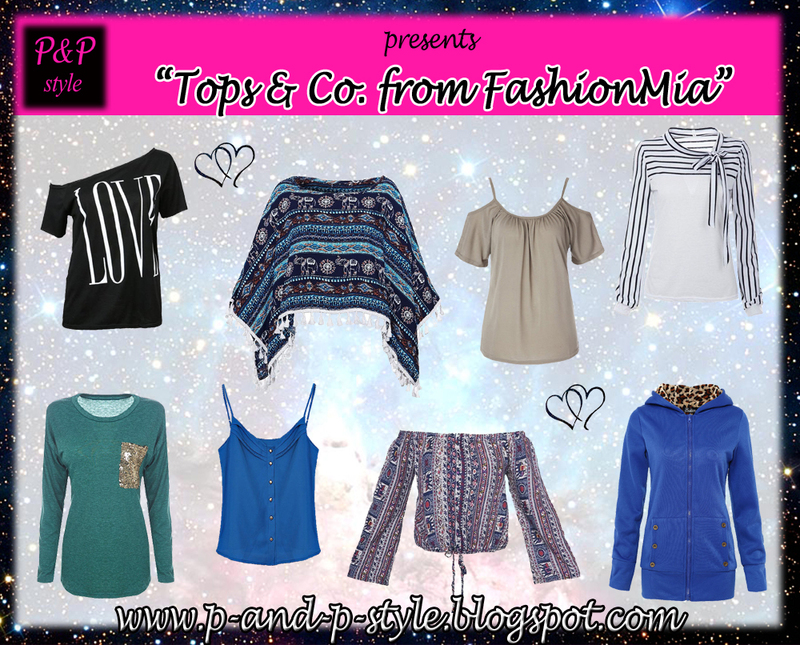 All items above are from FashionMia (http://www.fashionmia.com/), an online store for modern and affordable tops for women and other clothing. They are "dedicated to delivering high-quality clothing to women that will make them look and feel their best". The site offers flash sale and clearance items too. In those sections you can find cheap tops and pretty dresses even for less than $5. Which style has your favourite pair of jeans? What kind of shirts do you like to wear with them? Share them or let me know your favourites from the picture in the comment section below. fashionmia sounds like a great store! Great items dear, it's a lovely store! I'll have to check out this store! I love wide leg/flare jeans right now! Paired with a cute flowy tank and a pair of great wedges are my go to! Gorgeous picks!!! Love your blog! Happy Sunday! I love tops and shirts, especially basic and lace ones. Good selection. I love the top 4.